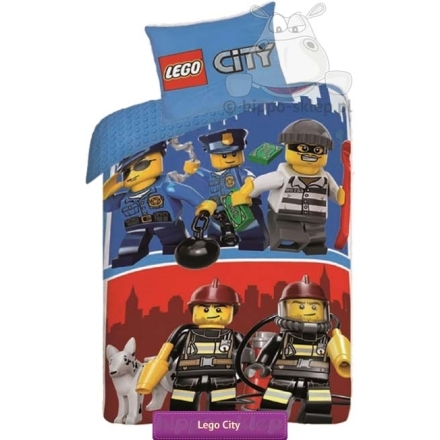 Lego City bedding for boys with characters policemen and fire-fighters from the latest series of animated characters describing the adventures of City live. 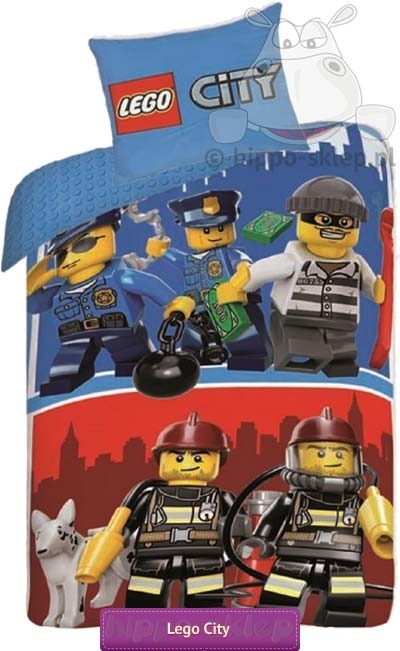 Bedding Lego City in blue and red colours with images of figures chasing cops, escaped prisoner and fire fighters, reverse in blue with characteristic pins created by Lego blocks. 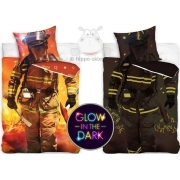 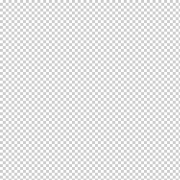 Cotton bedding duvet cover size 140x200 cm and pillowcases 70x80 cm, closing by zip, made from natural, smooth 100% cotton, certified according to Oeko-Tex Standard 100. 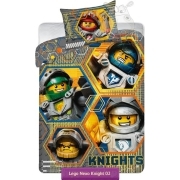 Bed linen Lego City is a series dedicated for boys who love fun characters from the CITY series.